of your users and customers. platform for your mobile documents. Get your mobile documents into the hands of your users and customers. Discover our integrated digital platform for your mobile documents. Don’t sacrifice ebook sales to ebook third parties. Keep selling directly to your customers. Readers can access their ebooks through any smartphone, tablet or desktop computer! The ideal solution for Business Field Force Automation (FFA)! For your staff collecting data in the field or customers needing to access your corporate and technical documents, we provide the mobile platform to deliver your crucial information while they are on the go. A full-blown, yet convivial system to make your auto body shop paperless and track all vehicle repairs in real time. A no-brainer solution for increasing your shop productivity! Mobile capture of data, images, videos, signatures, GPS coordinates, etc. 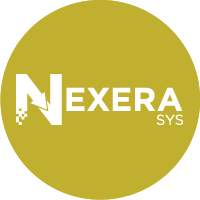 Nu-book launches its Nexera platform, an innovative execution system for auto body shops. Nu-book launches latest version of its integrated digital platform for professional publishers, Business Field Force Automation (FFA), and retail, newspaper and magazine publishers. 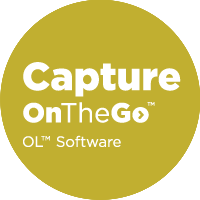 Objectif Lune and Nu-book join forces to create cutting-edge field force automation solution, Capture OnTheGo! We have been developing sophisticated, yet practical, technology platforms for the document publishing and printing industry for over 40 years. Throughout the years, we have believed that technology is the gateway to the future of how documents of all types are accessed, consulted and shared. CONTACT US today for more information on how we can bring that future to you. Nu-book is looking for your contribution in different work areas. Need no-nonense information on digital publishing trends and how they fit into your overall strategy? Looking to weed out fact from hype, theory and everything in between? Need to rely on someone who has experience in the business? © Copyright 2010- Diffusions Nu-book Inc.